A new addition to our portfolio. This coconut body cream is 100% Vegan and is designed for very dry skin. 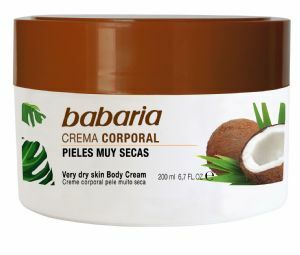 A body cream specially designed for use on very dry skins thanks to the powerful hydrating properties of coconut oil. Coconut oil, an ingredient of natural origin, is not only a powerful moisturiser but also nourishes the skin, both of which are necessary attributes for very dry skins. It is combined with vitamin E as an antioxidant agent. The cream can be used every day as often as you wish and has beneficial results on the skin in a very short time.